Pioneers in the industry, we offer baby mittens, infant socks, infant hat, comfortable baby socks, baby gloves and cotton baby socks from India. 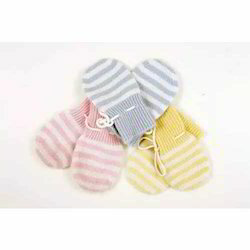 Baby Mittens offered comprise quality finish knitted baby's mittens and are made available in 100% acrylic material finish. Infant Socks offered comes in quality construction finish and can be made available in standard/OE choices. 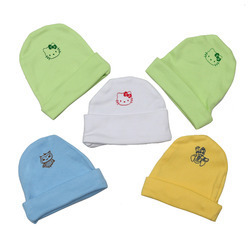 Infant Hat offered comes in quality construction finish and can be designed according to requirements. Comfortable Baby Socks offered is made available in superior grade cotton material finish with options of standard or customized finish sizes. Our organization is foremost provider of Baby Gloves as per the requirements of our patrons at cost effective rates. Wash Care: Wash Dark Colors Separately. 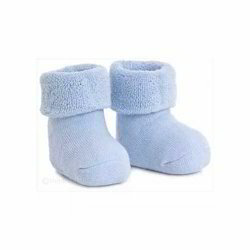 Cotton Baby Socks offered is available in material options of 5%cotton/12%nylon/3%spandex. 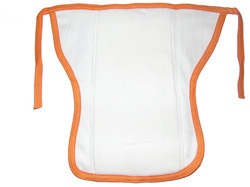 baby napkin offered comes backed by ce & iso9001:2008 certification and has super soft non-woven sheet finish. 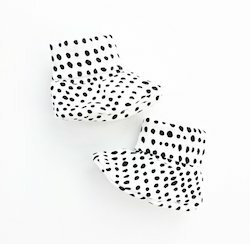 Looking for Baby Mittens & Socks ?